Seasonal Change: New look for Marks & Spencer. Marks & Spencer is one of Britain’s largest retailer. 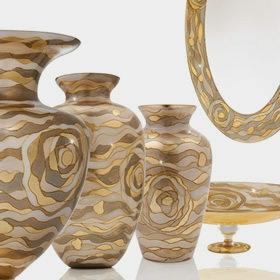 It specialises in the selling of clothing and luxury food products. M&S was founded in 1884 by Michael Marks and Thomas Spencer in Leeds. 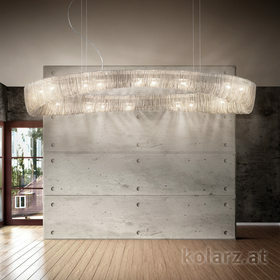 The company has over 700 outlets in the UK alone and a large international presence. 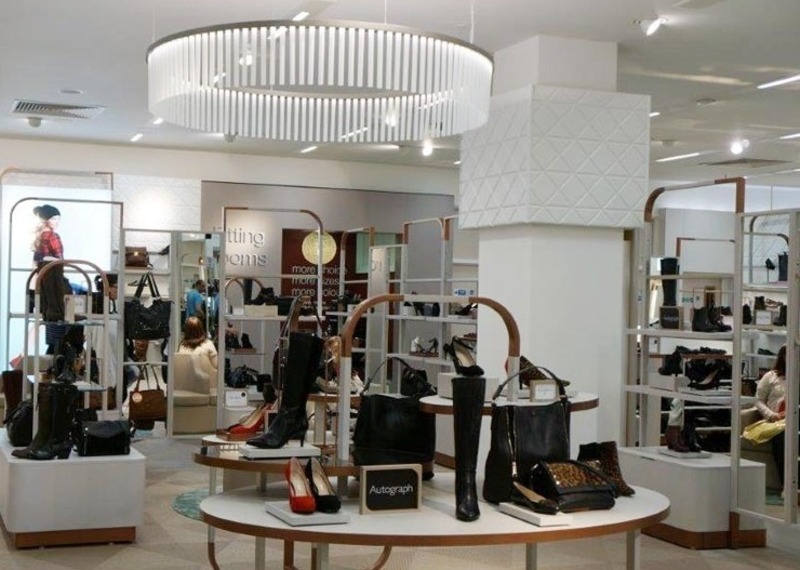 In a recent push to upgrade their stores they asked one of the leading UK design companies FOUR IV to create a fresh and innovative design for their footwear, accessories and hand bags department. 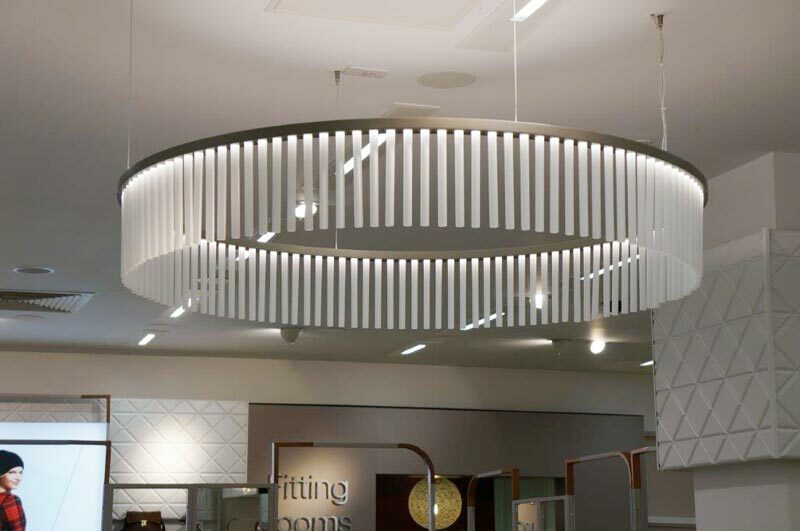 Whilst lighting in the M&S stores has been mainly functional in the past, a feature light was created to be the central focal point of the revitalised department. Founder and Designer of FOUR IV, Chris Dewar Dixon created a single line of matt glass rods suspended in an almost industrial looking, yet elegant metal structure are lit using high performance LEDs. The effect is a stunning subtle glow with warm colours to match the ambience, where soft colours and copper tones are linked to create timeless elegance in a contemporary environment. 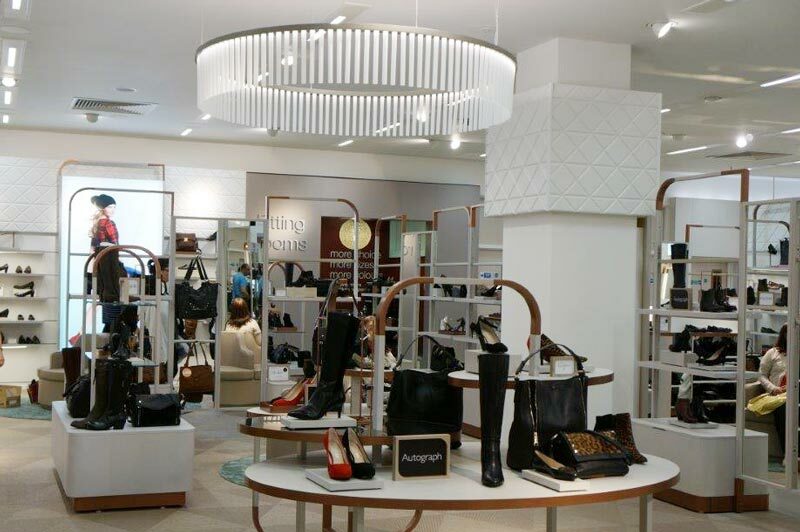 The first revamped stores are Bluewater, Pantheon on London Oxford Street and Colney.